I would like to share Cretan dishes that I have eaten in a two week period, all cooked by my aunt in a small village in northwestern Crete. 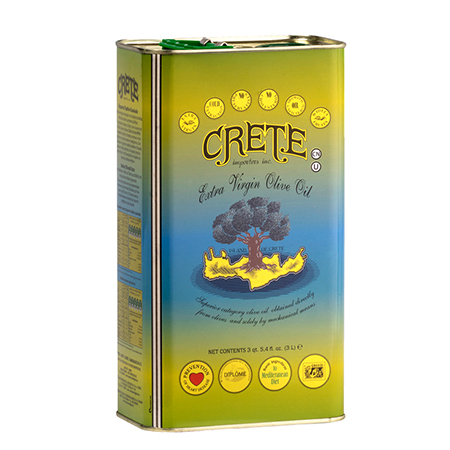 Crete is often called the “heart” of the Mediterranean Diet because of the incredible health of this Greek island. All of these dishes are eaten for the lunch meal and leftovers are served for dinner. Lunch and dinner is enjoyed with a Greek salad, crusty bread and glass of wine. 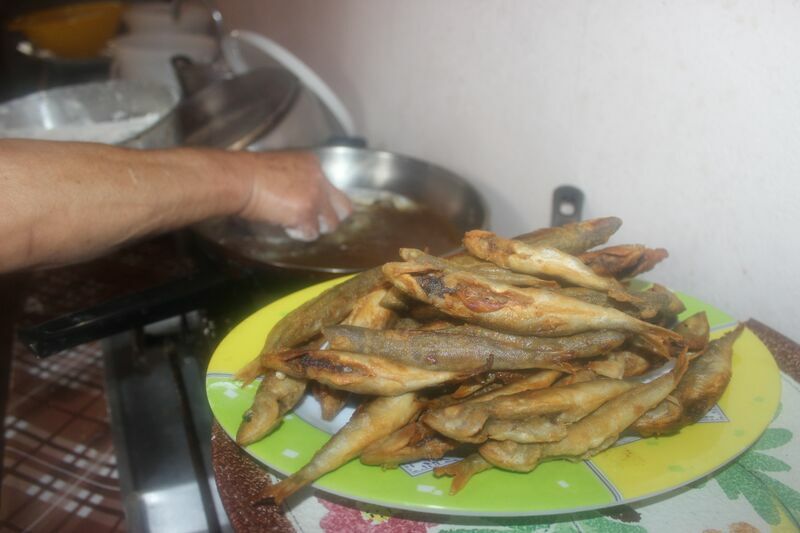 The first thing you notice is how little meat or fish is eaten. 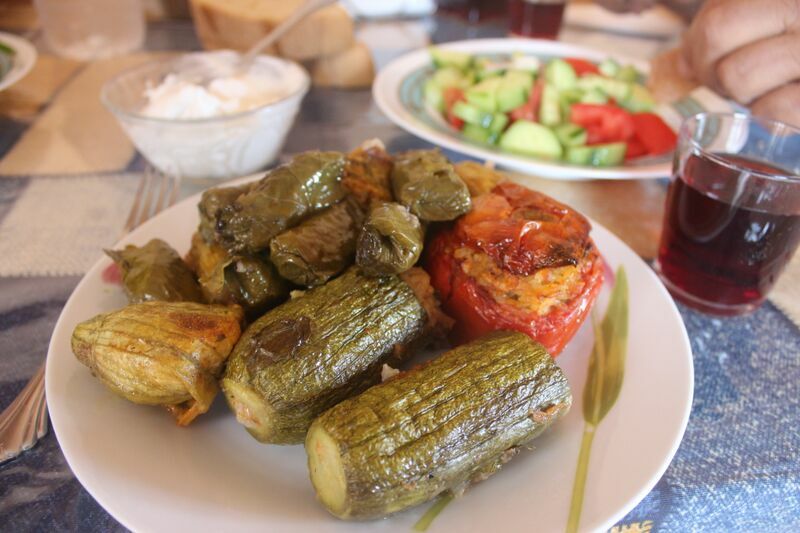 One of the reasons is because there is an abundance of fresh vegetables in Crete. Also, the tradition of not eating meat very often goes back to the days of World War II and earlier, when people couldn’t afford to eat meat very often. 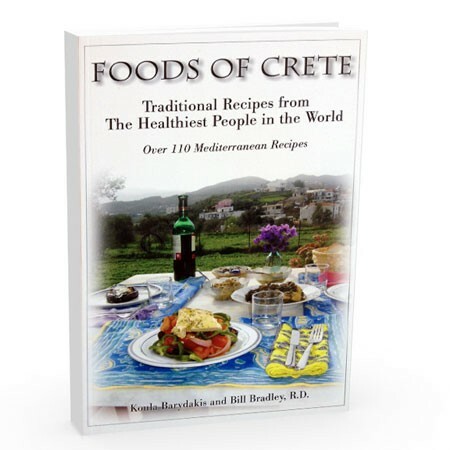 This small amount of meat in the diet has contributed to Crete’s astonishingly low rate of heart disease. Lots of people believe you need to eat meat every day to get enough protein, but in fact, this is false. Eating vegetables, beans, nuts, and seeds gives you a sufficient amount of protein. 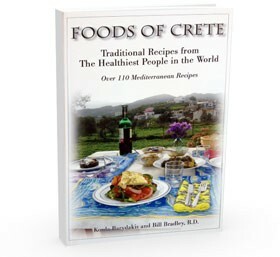 Buy our Foods of Crete: Traditional Recipes from the Healthiest People in the World Cookbook HERE! 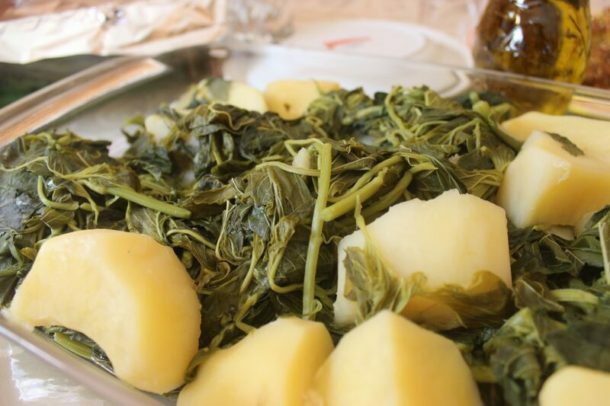 Cretans love to eat beans, potatoes and wild greens. Beans are packed with protein and fiber. Dark leafy greens are packed with vitamins and have countless health benefits. A food that is eaten every day here is salad,and the ingredients vary depending on what is in season. In the winter a cabbage, lettuce, and carrot salad is eaten. 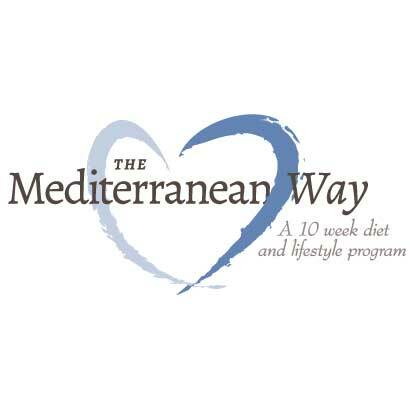 In the summer, a Greek salad is eaten with tomatoes, cucumbers, peppers, onions, olives and feta cheese. Bread is an important part of every meal. 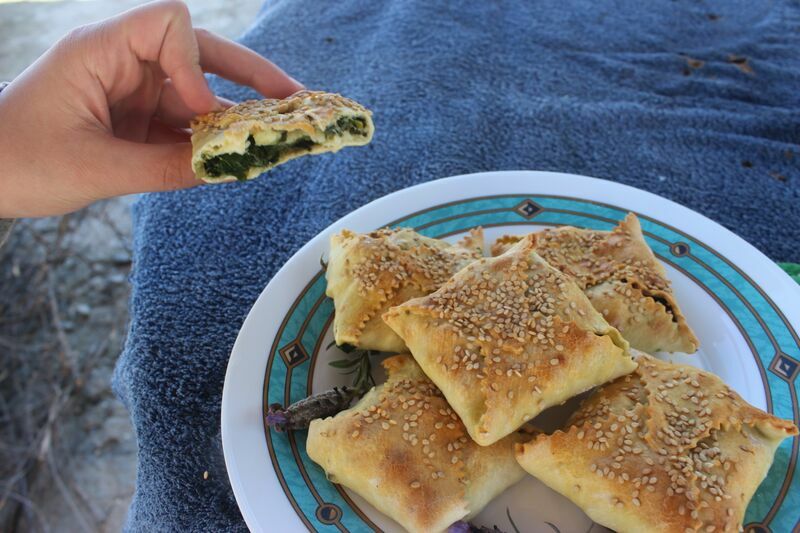 Cretans absolutely love their bread and take it very seriously. Whole grain bread, crusty on the outside, and a little softer on the inside is perfect for soaking up all the olive oil and tomato juice left over from the salad. My uncle holds a piece of bread in one hand and a fork in the other, using the bread to scoop more food onto his fork. It’s a Greek thing. Fresh fruit is a must for dessert or a healthy snack. Any fruit can grow here easily so it’s a no brainer to eat only what’s fresh. You will taste the sweetest watermelon of your life here in Crete. When you cut into it with a fork the juice always explodes onto your hand and onto the table. If this doesn’t happen, you probably aren’t eating real watermelon. Oranges are grown year round here so Cretans drink freshly squeezed orange juice every morning or as a refreshing drink in the hot sun. The grapes that are grown here are made into wine and tsikoudia (moonshine). A glass of red wine accompanies every lunch at my aunt and uncle’s table. Late at night while we eat melon, tsikoudia is sipped on. Be careful though, it can be dangerous! Everything on my list of meals eaten In a two week span is very healthy and unbelievably fresh. 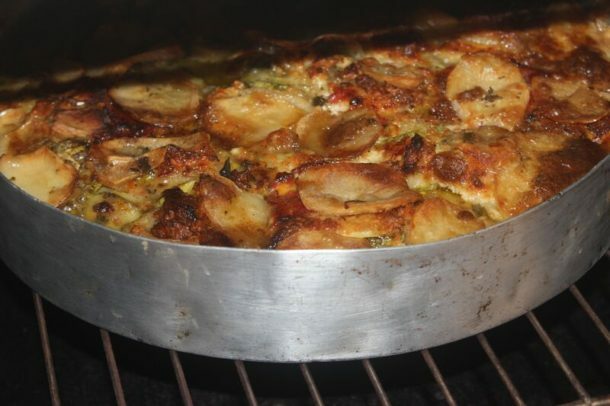 All of the fruit, vegetables, meat, wine and olive oil are grown and raised right in the village. It’s a great feeling to know everything you’re eating is coming from less than a mile away.